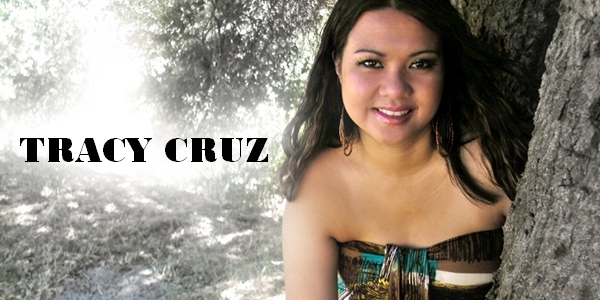 Tracy Cruz’s music represents a vast, magnificent blend of polarities. Her music hinges on heartless dissonance and jolting hope. We never get just one side of her; we get the kaleidoscope. Her song lyrics and production will unfailingly take you on a musical excursion, intended to resonate with all who experience it. As surely as it will crush your soul, it will also elate you. A vocal powerhouse, one that can speak a universal language, can only back up this aural diversity. Tracy’s alluring voice is comprised of sounds old and new, resembling Jill Scott’s throaty moans and Sarah Vaughan’s lyrical accentuation, all while still managing to remain distinct. 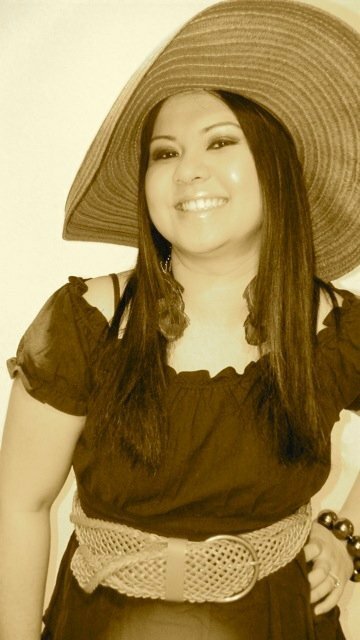 Born in Quezon City on the island of Luzon in the Philippines, Tracy grew up in an encouraging household where she watched with eyes of wonder as her mother and grandmother serenaded around the house. In admiration, her grandfathers observed her budding talent and encouraged her to pursue further by offering her money to sing. 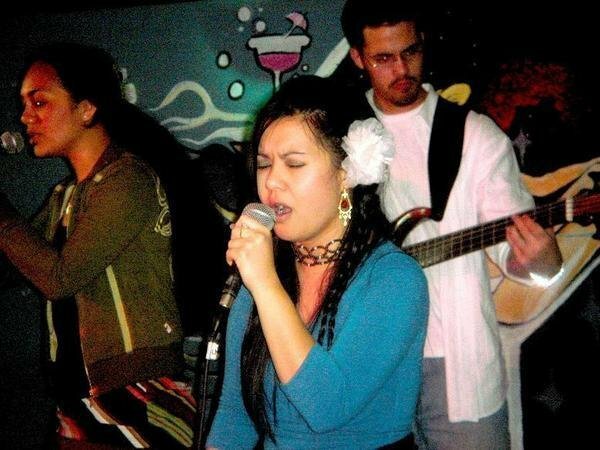 Tracy’s parents later enrolled her in piano, singing, and saxophone lessons. Her first vocal coach was Greg Farbizio of Darrell Leffler’s Academy of Music. With the incredible boost from her family and coach Greg Farbizio, Tracy traveled across the United States by the age of twelve, competing in competitions and bringing home trophies. With a vocal range that stretched from unbelievable lows to soprano highs, a refined tonal quality and a few scribbles in her notebook emerged. 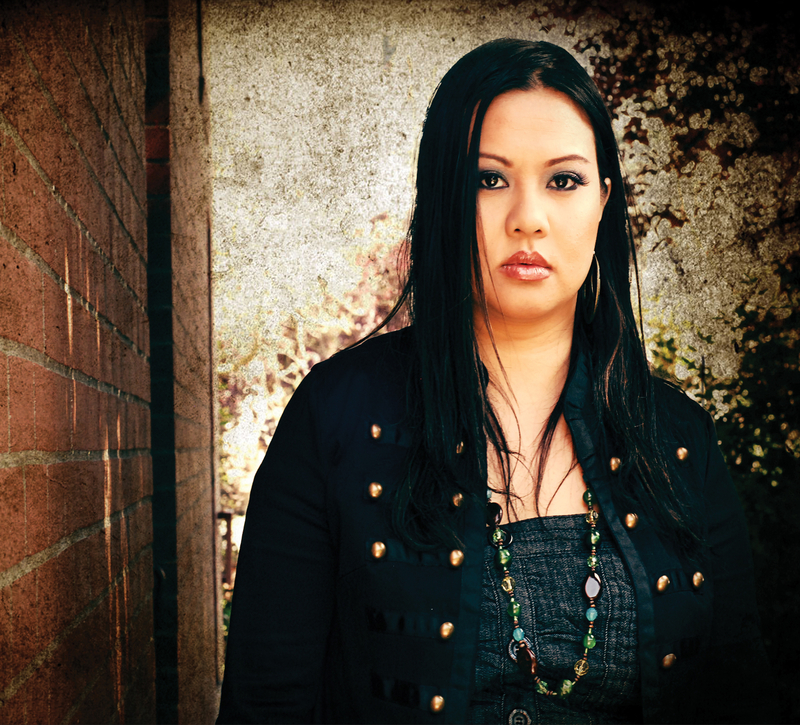 Without forgetting her indigenous roots, the singer developed musical mannerisms that were influenced by Filipino songwriting styles. 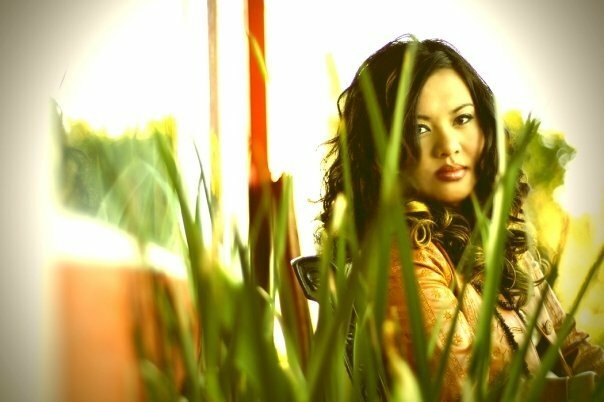 The fearless admittance to thriving passion in Filipino ballads was something Tracy wanted to revitalize in her lyrics. That Tracy was influenced by her vocal coach – Ledisi – is obvious too. Oftentimes, she approached her voice as a melodic vehicle that interpreted the Word of God. With unfettered freedom and full self- expression, she discovered memorable ways of coloring church songs with rich meaning. Audiences often fell to their knees in response. Tracy humbly responds, “It’s not me who is singing; it is God moving through me.” With the guidance of Ledisi’s unapologetic, freewheeling style, Tracy Cruz soon gained the confidence to “step out” and touch a wider audience. 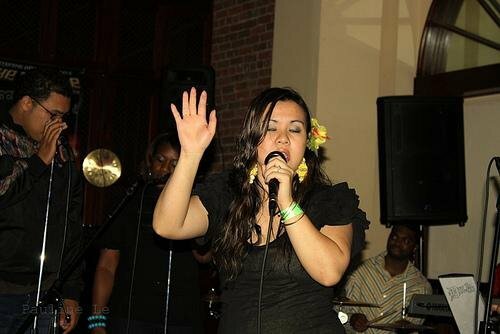 Tracy Cruz sings Jill Scott’s “The Way” LIVE BAND! Who would have known that the one they call “The Man with Perfect Pitch” and the “Little Woman with the Big Voice” would evolve and soon conceive of two children along with three musical creations. 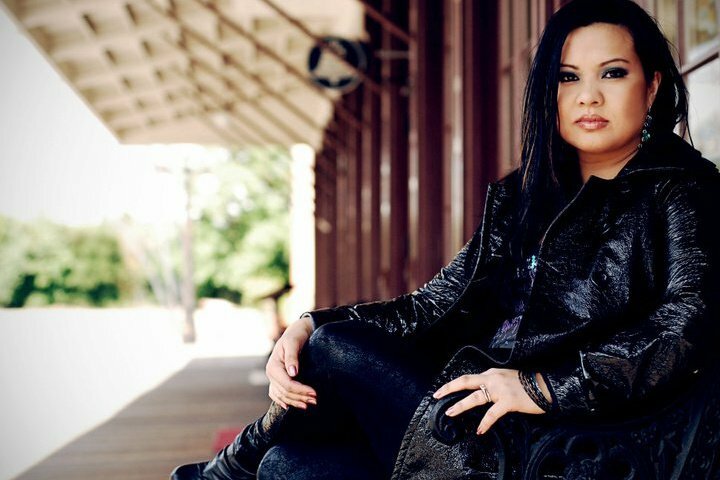 The evolution of Tracy Cruz’s music is a testament of the highs and lows of her life. With warm welcoming, Tracy simply “lets us in.” Each album, each song, offers a glimpse into the different chapters in her life. 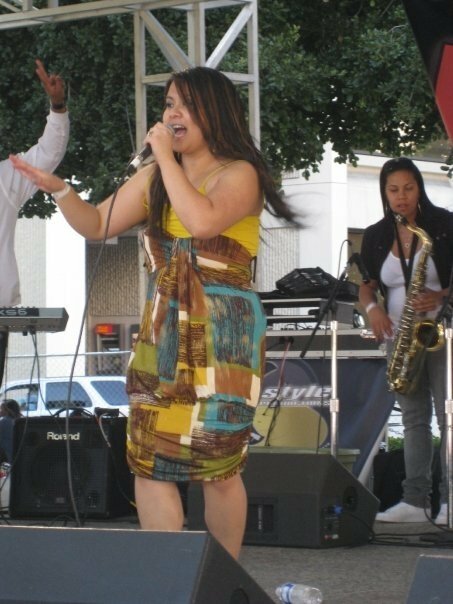 In 2005, her EP entitled, Illuminate Love, featured Kanetic Source, former emcee of Ozomatli, and accumulated national recognition. 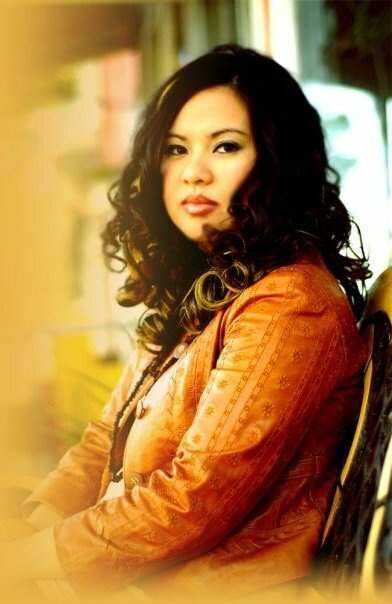 Tracy’s debut album, Feel’osophy (2008), was awarded three Muse’s Muse Awards for “Best R&B CD Project of 2008”, “Best Lyrics Female”, and “Best R&B Single Female.” Acclaim from Feel’osophy boosted Tracy’s profile in the industry. She was able to share the stage with Apl. de Ap of the Black Eyed Peas, Martin Luther, Jaguar Wright, Latoya London, Zion I, Pep Love, Living Legends, Breakestra, The Bangerz, and Crown City Rockers. “Music is so powerful to me. You can really touch someone’s life by the songs you create,” she says. Touching individuals from different corners of the world became apparent when she received a letter from Sacramento, California. As a result of hearing Struggle, a track off Illuminate Love, the writer expressed, “Your song moved me to tears. Your powerful song helped me let go of this pain I’ve been hanging on to for so long.” As we travel outside the U.S.
Tracy and producer Allen Ross decided to stretch and re-conceptualize their sound while remaining true to Tracy’s core artistry. In her upcoming album, Universoul Symphony, the duo flirt with indigenous, symphonic, and electronic sounds. Upon listening to Universoul Symphony, Tracy’s recalibrated confidence is wildly apparent. The album unveils the struggles of being an independent artist, the joys of being loved, the hardships of today’s economy, and surviving in a world riddled with injustice. Yet, Tracy envelops all of it and re-fashions it in a beautiful light. Anyone would notice the subterranean depth that Tracy dared to dive into for Universoul Symphony. The production is lush with extravagant layers and unexpected instrumental choices. Best of all, the hypnotic backstage works perfectly with Tracy’s upstage lyricism. This is not the Tracy we knew from the past. Yes, she’s bigger, badder, and wiser. But b est of all, the mad scientist has explored her mystical experimentations and she’s not afraid to show her work.Conceptually, Universoul Symphony is a work of art that is undeniably truthful. It seems the balance of motherhood, marriage, and songwriting has birthed a wonderland of love, courage, joy, pain and struggle. It is a tear-jerking, fist-pumping, two-stepping collage, a record you can play in the bedroom or at your summertime, backyard boogie.